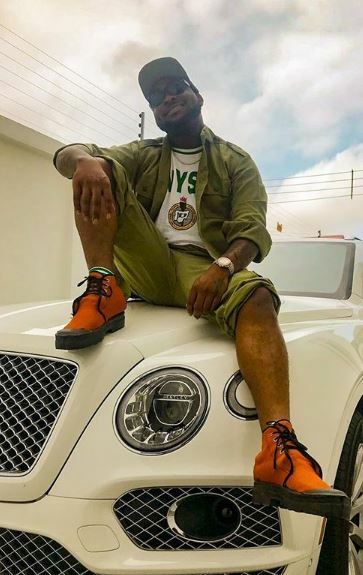 Pop singer, Davido, recently caused a stair on social media after he posted pictures of himself as a National Youth Corps member. Yesterday, during the swearing -in ceremony, it was reported that the singer turned the event to a show. Corps members could not contain their excitement as they all struggled to get close to the singer. Upon signing his oath of allegiance, the singer gave newsmen reasons why he decided to serve. According to him, his choice is owing to his love for the service scheme. As a Nigerian, he chose to avail himself the chance to serve the country, he said. As a young age Nigerian, I would not want to miss the opportunity to be part of the service year. I registered for the scheme due to my strong passion for NYSC. OBO certainly knows how to put the lines in place for himself.